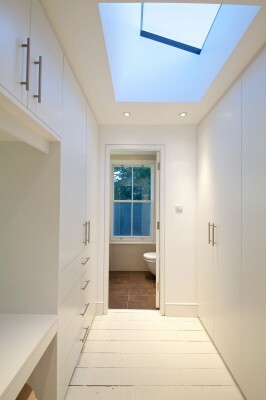 "...it looks great, very exciting... we couldn't imagine now having managed to get this far without you. 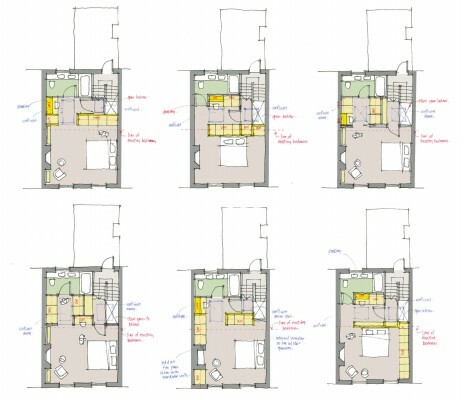 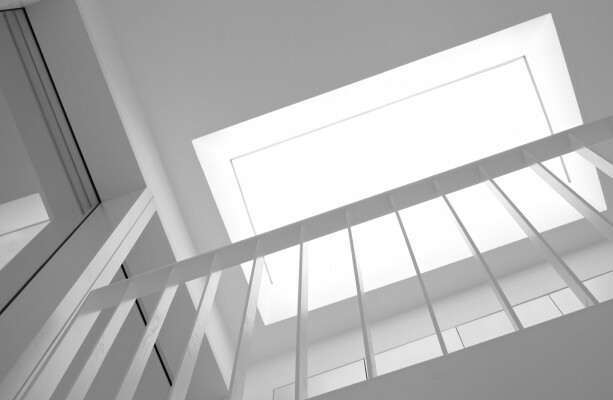 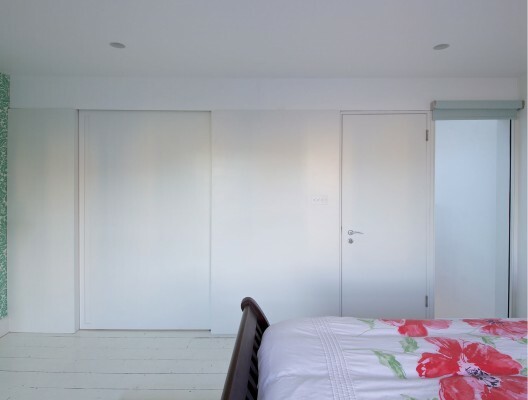 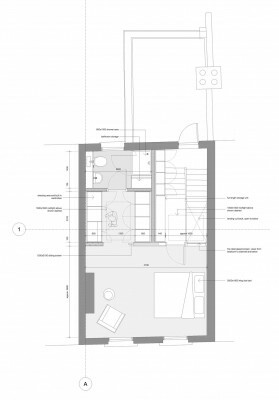 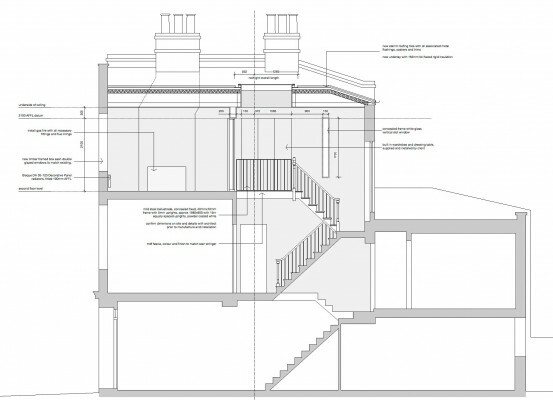 Your creativity and experience have been invaluable to us and we greatly appreciate the work you've put in..."
This project was a careful reconfiguration on the top floor of a Victorian property in Kentish Town, North London. 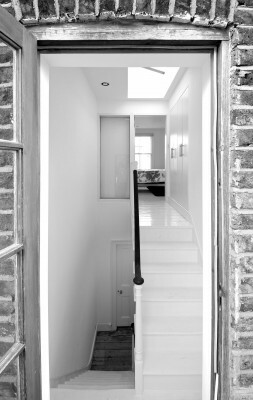 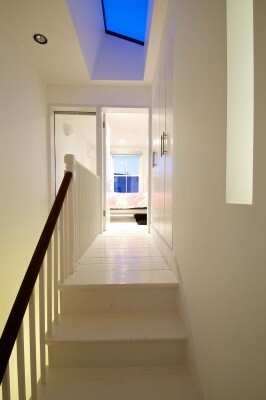 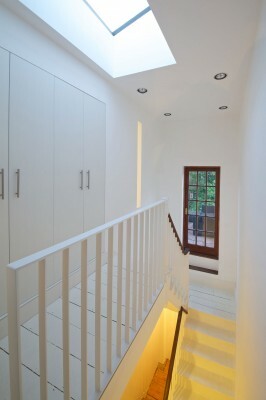 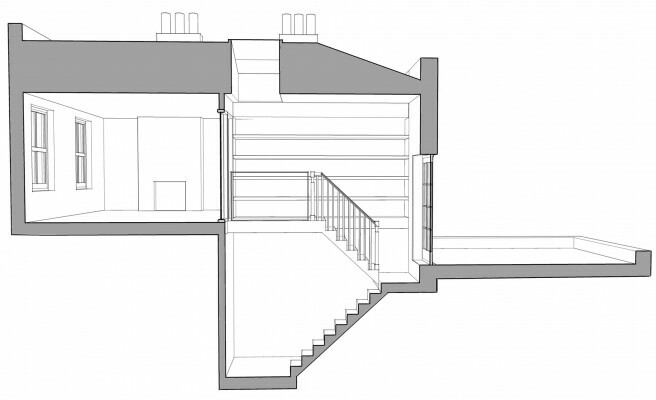 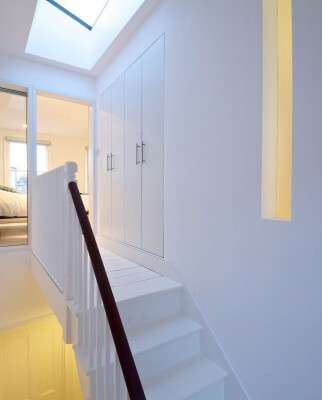 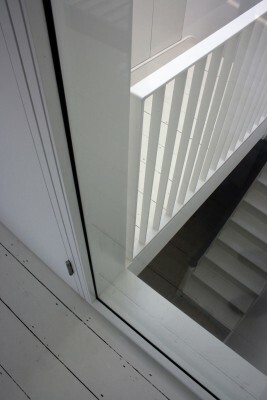 The second floor landing was stripped back, creating a bridged gallery access to the master bedroom through a naturally lit double-height volume. 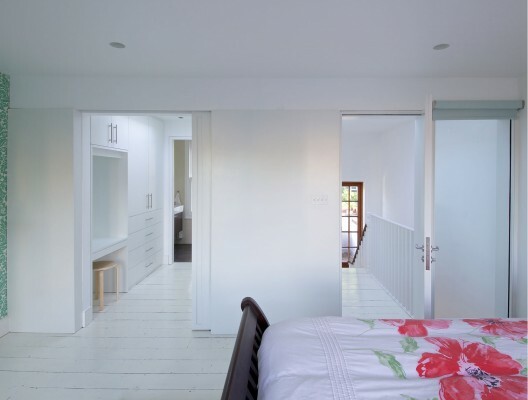 Internal windows from the bedroom and en suite allow south facing light to flood back into these spaces through the new circulation core.